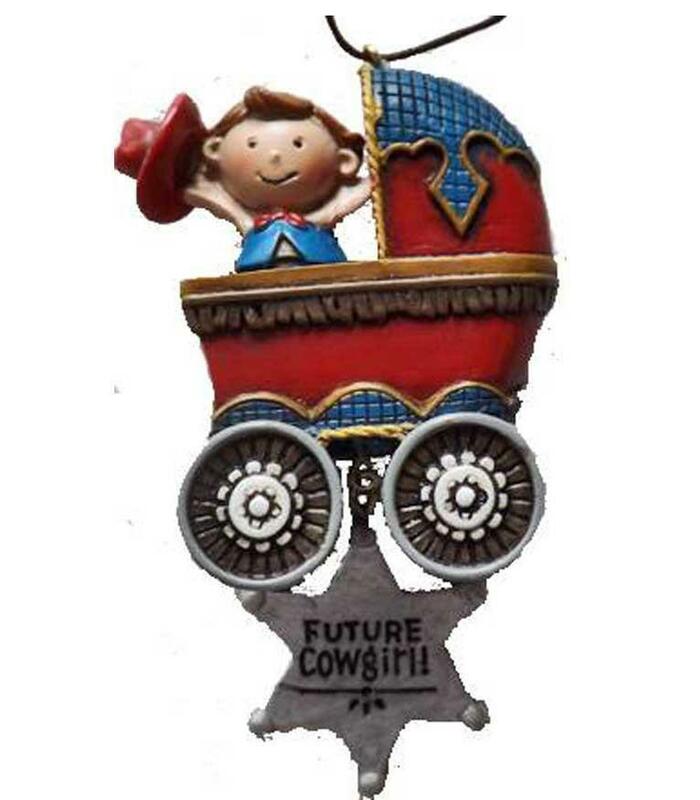 Cowgirl Baby in Stroller Ornament Cute design with an almost Victorian old west look. Perfect for baby's first ornament or baby shower gift. Great detail on both sides. Matching baby cowboy also available. Resin 4.5"
Cute design with an almost Victorian old west look. Perfect for baby's first ornament or baby shower gift. Great detail on both sides. Matching baby cowboy also available.